This paper elucidates on a method using electrical pulse-mediated chemotherapy, known as electrochemotherapy and artocarpus altilis extract to study the anti-proliferation effect on HeLa cancer cell. Electrical field parameters used in this study ranging from 200, 400, 600, 800, 1000 V/cm and pulse duration of 100 µs, 500 µs, 1 ms, 5 ms and 10 ms with 40 µg/ml of artocarpus fruit extract concentration. 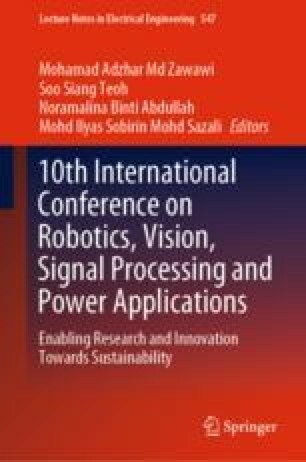 Results indicate that viable cells, as low as 30% was prompted by 600 V/cm and 5 ms of electrical field parameter after 72 h.
The author would like to convey her appreciation to supervisor Associate Professor Dr. Muhammad Mahadi Bin Abdul Jamil for the guidance support. Author would like to acknowledge the financial support of Ministry of Education Malaysia through MyMasters (MyBrain15). This work was sponsored by Universiti Tun Hussein Onn Malaysia (UTHM) through grant contract project VOT no. U551 and U775 as well as Kementerian pengajian Tinggi (KPT).